The Physician Payments Sunshine Act gets most of the attention on Policy & Medicine these days with phase I submitted and other important deadlines looming. 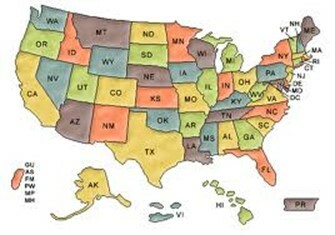 However, a number of states have aggregate spend requirements that will not be preempted by the Federal Sunshine Act. We recently reported on Washington DC’s annual transparency report, and have paid close attention to Vermont’s Prescribed Product Gift Ban and Disclosure Law. At last month’s National Disclosure Summit, we covered a well-organized presentation that simplified the distinct state laws entitled “Interaction and Coordination between State and Federal Reporting Requirements: Strategies to Limit Risk.” Trudy Seeley of Sanofi-Aventis and Diane Bieri of Arnold and Porter LLP presented. As an introduction, the Federal Sunshine Act preempts any state laws requiring reporting of the same type of information concerning payments or other transfers of value made by applicable manufacturers to covered recipients. States may require reporting of non-required categories of information for payments or other transfers of value reported to CMS, including any exclusions from the Sunshine Act. Applicable manufacturers and GPOs subject to state law reporting requirements in Vermont, Massachusetts, Minnesota, the District of Columbia, Louisiana, and California should be aware that certain state requirements to report gifts or payments may be preempted. Seeley noted that most, but not all, companies are going to take advantage of the Federal preemption, and back out that which they are reporting separately. However, the Act does not preempt all aspects of state disclosure requirements covering payments to physicians and other health practitioners. Most aggregate spend states have a much broader list of covered recipients and a larger set of reportable activities. We have compiled a chart with the states that have different requirements from the Federal Sunshine Act. • Clinical spend prior to 8/1/2013: VT has given companies the option to check a box if they are not going to report Federally preempted spend in their state report. For other states, if you choose to take advantage of the preemption, you still have to report the state spend for the first half of the year (before 8/1). In VT, this is not the case. VT still has the only total ban on food for their prescribers if they “regularly practice in Vermont,” which is left a bit up to company interpretation. It becomes difficult to know whether a doctor who is licensed in Vermont, but actually practices in a surrounding state. Also, companies will have to pay extra attention to their Federal Reports with respect to Vermont doctors. Doctors are only allowed to partake in a meal if they are paid as a speaker or consultant. Vermont will likely focus in on the doctors in the Federal report from VT if they see meals to doctors without fees or other expenses attached. MA requires a separate report mainly for the additional covered recipients. Risks: Payments apparently in excess of annual limit would be listed on Federal reports. For example, pure device companies do not fall within MN law, so in the Federal reports, you will see physicians who have over $50 meals with no fees or expenses attached. While MN has not been litigious, the worry is that reporters could state that companies have disregarded the state limit. • All print and media advertising, but only within DC- if you advertise in MD and VA, you are safe Reporting not required under “de minimus” threshold of $25 per covered recipient per day. For in-office meals, this $25 limit is very helpful- most meals for lab techs and other licensed healthcare providers are under $25 and will help lower reporting responsibilities. Nevada Drug companies must adopt general compliance programs in accordance with the Code on Interactions with Healthcare Professionals, and follow through with training and auditing procedure. Companies must submit an annual report be submitted, including a certification that annual audit has been conducted and that the certifying entity is in compliance with its code of conduct. Only Vermont and Massachusetts have explicitly stated that their laws apply to medical device companies. Vermont has been the only state to take explicit enforcement action, though the public scrutiny could become very real once Federal reports become public. The presenters noted that determining what information is not reportable in certain states may cause added work. Furthermore, companies’ mistakes or judgment calls in complying with state restrictions on certain types of activities will be more visible once Federal reporting begins. From a policy standpoint, companies may want to consider identifying the challenges and the tracking resources devoted to compliance with state transparency obligations after Federal Sunshine is implemented in case there is an opportunity to modify state requirements. Seeley believes that states like Minnesota, which are almost completely covered by Federal reporting requirements, might be the most likely to defer to the Federal system.